iSpring recently introduced an advanced version of the software, iSpring Suite 9, that helps in creating highly engaging, innovative eLearning. iSpring Suite includes dozens of new features to create engaging eLearning courses, visually rich interactions, interactive assessments, video lectures, dialogue simulations, screen recordings, and more. 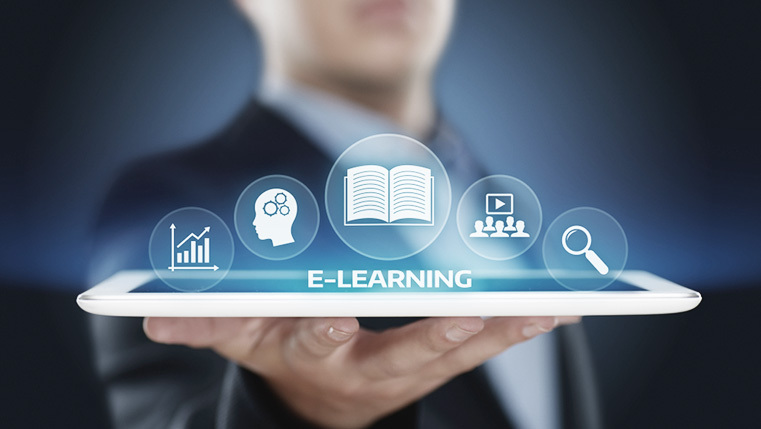 This tool has also introduced 6 video formats that can help in creating advanced eLearning courses. 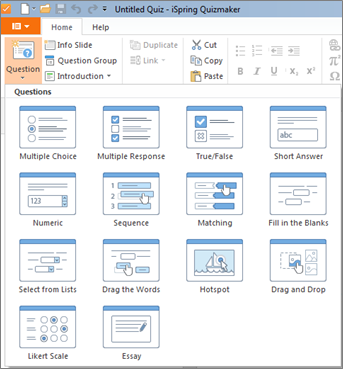 And the best part is, anyone with knowledge of PowerPoint can intuitively work on iSpring Suite 9. Let’s look at a few features of iSpring Suite 9 that can turn your dull eLearning course into a supercharged course. iSpring Suite 9 is a great foundation to convert any kind of PowerPoint presentations into eLearning courses. The tool has a minimum learning curve; therefore, you don’t need any special training to work on this tool. 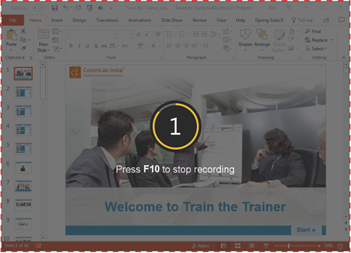 With just a single click, this suite allows you to create courses from PowerPoint presentations. You just have to open the file and publish it. iSpring Visual 9 is a great asset to create engaging interactive content for eLearning courses. There is no need for programing skills to create interactions in this tool. It provides 12 default modern interactions that you can choose from, based on your content specifications. Also, you can add a bunch of other elements to make modern interactivity slides. In addition, with interaction templates, you can quickly create eLearning courses with visually rich elements. Check the screen below to view sample interactions. iSpring QuizMaker 9 has come up with rich interactive assessments. Through this feature, you can create any kind of assessment quickly to match with your requirements. This tool allows you to include media, video, drag and drop, branching assessments and scoring /result with ease. You can create rich, embedded questions and feedback based on the question choice. iSpring QuizMaker is now upgraded with 12 graded and 12 survey question types. It allows you to apply various settings to each question such as point, penalty and attempt, and much more. In addition, you can add pictures, shapes, text, video, audio, background images, fonts, equations, characters, and objects within the quiz. iSpring Suite 9 has the Narration feature that helps you develop courses with audio and video lecture. You can synchronize your slide with an imported or recorded video and audio. It creates a dynamic environment where the learners focus on the important points, without getting distracted and stay motivated while learning. It is easy to create a video lecture course by just adding audio and video to it. iSpring Cam 9 is a powerful feature that is useful in creating training videos, recording screens, and many more for eLearning courses. You can capture screens by selecting a particular area or the entire screen, or window. It also allows you to record audio/video over the tool, with HD quality and add background music with ease. Once the presentation is completed, you can share it (social media) and/or publish it (YouTube). The iSpring TalkMaster 9 feature allows you to train employees using conversation simulations. You can build conversation scenarios to train employees on customer interactions or to handle sticky situations. You can build conversations very easily by just providing the questions and answers in a tree sequence. You can add a variety of characters and backgrounds from built-in libraries or upload your own, to customize it according to your need. This tool is very useful when it comes to developing training courses, where you can check the progress, enable evaluation, and set point values easily. With the iSpring Suite 9 adaptive player, developers can create a single course that can be delivered to all devices such as smartphones, tablets, and desktops. This tool allows users to access courses anytime and anywhere. iSpring Suite 9 has an expendable content library that includes a huge collection of eLearning assets, such as slide templates, customizable color themes, characters, icons, objects, and background images. These assets are quite unique and help develop engaging courses quickly. 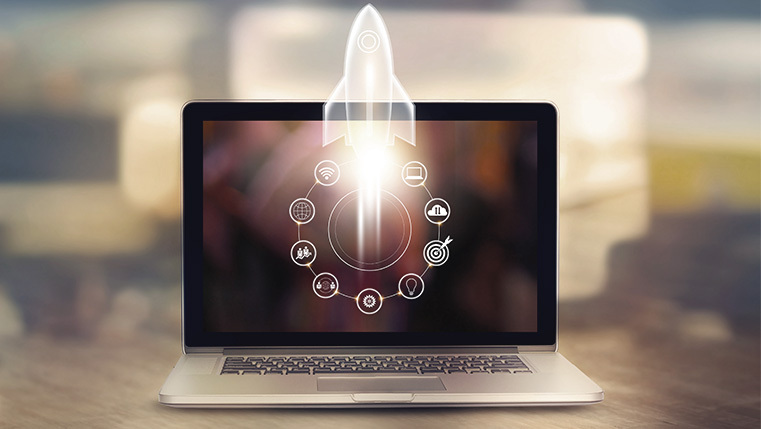 The power packed features of iSpring Suite 9 will surely help you develop eLearning courses that are supercharged, at the same time can be developed in a fraction of time. Hope you like this blog on the features of iSpring Suite 9. 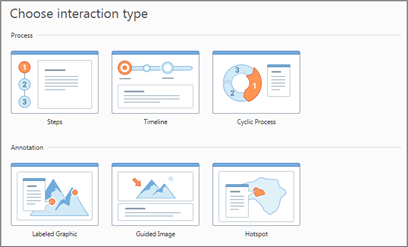 Were you aware of the new features of iSpring Suite 9? Do share your thoughts.